Old Town Open Book Bookstore to Open in Warrenton, Va.
Co-owners Cammie Fuller and Rachel Sirene plan a March opening for Old Town Open Book at 104 Main St. in Warrenton, Va. Fauquier Now reported that the two friends "had no doubt Old Town needed an independent bookstore, and for the past five years they talked about how to fill that retail void." "Every time we talked about this, it ended up with, 'Well, if no one else does it, by the time I'm ready, I'll do it,' " said Fuller, who last spring launched what became an "intense" research and planning process. She and Sirene obtained information and help from the American Booksellers Association, visited more than 20 independent stores and spoke with local merchants, public school librarians and Fauquier's public library director. "I had a business before," Fuller noted. "And I knew that you can't take it lightly. You can't cut corners; you've got to know what you're doing; you've got to know the landscape." Noting that booksellers they consulted stressed the importance of "community engagement" and a deep knowledge of the local market demands, Fuller added: "Independent bookstores right now are surviving and thriving because they tie into their community and they learn what their community wants. I heard that over and over again." Sirene noted that Old Town is "really the heart of our community. It's where so many people come to look for local items--whether it's locally crafted piece of art, or they're supporting a local jeweler or whatever their reason is. We just felt strongly about being part of the Main Street community." They considered about a dozen Old Town properties before deciding on the former Latitudes storefront, a 1,500-square-foot space they will lease at $2,000 per month. Warrenton Mayor Carter Nevill believes the new bookstore will appeal to all kinds of people: "I know this community. I know the desires of the community. I know what a bookstore brings to a community. Everything lines up for (Old Town Open Book) to be a success." Independent bookshops in the U.K. and Ireland "enjoyed a bumper end to 2018, with 'excellent' Christmas sales, and most are looking ahead with optimism," according to the Bookseller's Indie Bookshop Christmas Trading Survey. Compared to 2017, 53.2% said Christmas sales in 2018 were very good, 27.6% rated sales excellent and 8.5% found sales to be disappointing. Among respondents who had finalized their end-of-year accounts, 56.2% said they had an increase in sales year on year, with the percentage rise ranging from 1.5% to as high as 80%, the Bookseller wrote. Just 8.3% said they had seen sales fall, with percentages of 3% to 19% cited. "A good range of books, an increase in support for the high street and bookshop events all helped boost Christmas trading," the Bookseller noted, adding that "customers also made a conscious effort to support indies and their local high street, rather than turning to online retailers for Christmas shopping." 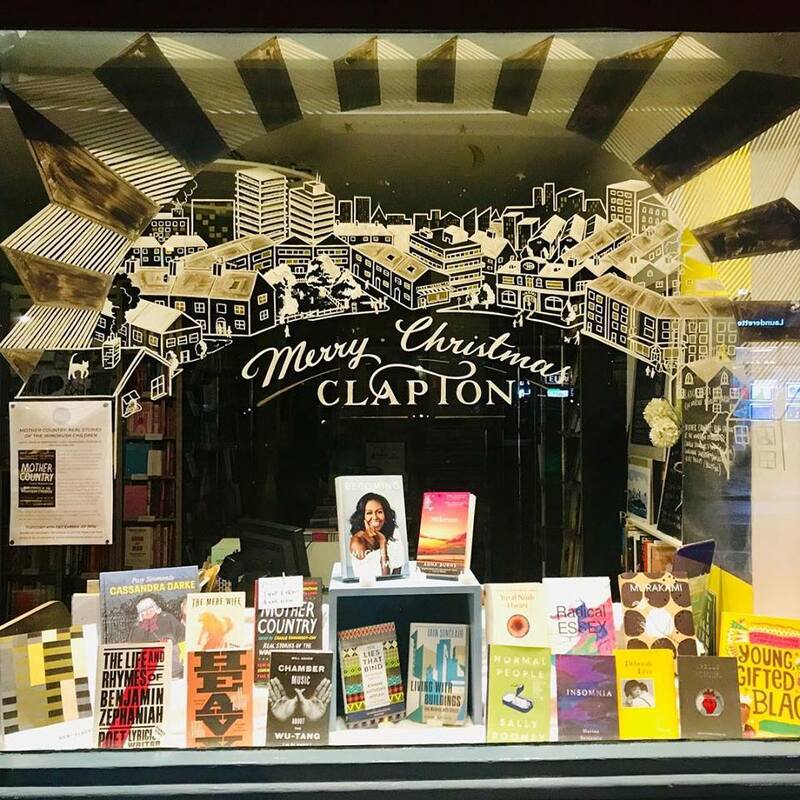 "There was a very strong range of titles across the board--decent offerings of fiction and non-fiction, and probably the strongest offering we have been able to offer our customers in a good long while," said Andy Barr of London's Belgravia Books. "There were no peak bestsellers, Michelle Obama's Becoming aside, but strong sales across the range and plenty of scope for handselling." Matt Taylor of Chepstow Books in Monmouthshire, commented: "I think the 'love' of bookshops has grown, due to positive campaigns like Books Are My Bag and the hard work put into customer service and events by bookshops every day of the year. There was a really strong mix of bookshop titles this year and lots of support of signed copies from key publishers." Jo Heygate of Pages of Hackney observed: "People tell us they're making a conscious effort not to go on Amazon and want to support us." David Makinson of the Holt Bookshop in Norfolk added: "Good weather helped and many loyal customers were determined to champion independents rather than use Amazon. 'Use it or lose it' seems to be a widely-held view." Online competition, bad weather and supply issues were cited as factors for those booksellers reporting less than successful Christmas sales. Just over 51% of 48 respondents said they had no problems with supply, while slightly less than 49% experienced some issues. Looking forward to 2019, 66% of respondents warned economic uncertainty was the biggest threat to their business, with 42% still wary of online competition. Business rates (24%), competition from supermarkets (22%) and quality of publishing (10%) were also cited as threats to indies, with 34% saying other factors, such as Brexit and the "death of the high street," were their biggest challenges, the Bookseller wrote. Overall, 70% expressed optimism for the year ahead, 10% were feeling pessimistic, while 20% felt neither. "When times are uncertain, it's worrying for anyone on the high street," said Booksellers Association president Nic Bottomley, co-owner of Mr. B's Emporium of Reading Delights in Bath. "But books provide high value per pound... people are always wanting to spend money on books. Books enable you to understand the world and give readers the power to escape it. When Brexit was announced, in our shop we had the highest ever sales, with people wanting to understand the situation." Effective with the New Year, Marshall Smith, bookseller entrepreneur and co-owner of Brookline Booksmith, Brookline, Mass., has retired from "active participation in the operations of Brookline Booksmith." In a letter to staff, he wrote, in part, that he is making the move "with a touch of sadness, lots of nostalgia, and a tremendous pride in what our hundreds of booksellers have accomplished over the past fifty-seven years and two months." He recalled that the original store, called Paperback Booksmith and with Evelyn Vigo as manager, was 2,000 square feet, compared to its current 9,000, and that "shortly after we opened, a woman came up to me and said: 'Thank you so much for opening this store. My teenage son and his friends used to hang out in the pizza shop around the corner. Now they hang out in a bookstore!' "
He added: "We were always socially active, eager to learn and change. With Dana Brigham, who joined us as store manager over 30 years ago, we became Brookline Booksmith, a cultural center for the Town of Brookline and eventually the entire Greater Boston area. We knocked out Barnes & Noble, who opened a larger store less than two blocks from us; we faced up to Amazon who helped close 50% of the independent bookstores in the country--but not us. "The world will still change; challenges will always be with us, e.g., I believe technology is going to keep revolutionizing the way we live and learn. But I feel confident that with our new management team (Jed Smith, Dana Brigham, Lisa Gozashti, Peter Win, Tim Huggins, Alie Hess, and Nick Petrulakis) and an extraordinary group of booksellers (Did I tell you about the woman who came up to me and said she couldn't find the books she was looking for and the staff was so helpful, and knowledgeable, and friendly that I just had to stop and tell you? ), you will face up to those challenges and have a great time doing it. "I'll see you all in the aisles." The Paperback Booksmith in Brookline, opened in 1961, became the first of a chain in the Northeast that had 75 stores at its height. Smith also founded Videosmith, a chain of video rental stores that he sold in 1989, and Learningsmith, founded in 1991, an educational multimedia company that had 87 stores at one point, many of which were affiliated with public radio stations (it closed in 1999). This is the latest installment of our series examining how independent bookstores around the country have navigated rising rents, lease negotiations and relationships with landlords; see previous articles here. Annie Philbrick is the owner of two stores in southern New England: Bank Square Books in Mystic, Conn., and Savoy Bookshop & Cafe in Westerly, R.I. Though the two stores are less than 15 miles apart, their rental arrangements are vastly different. 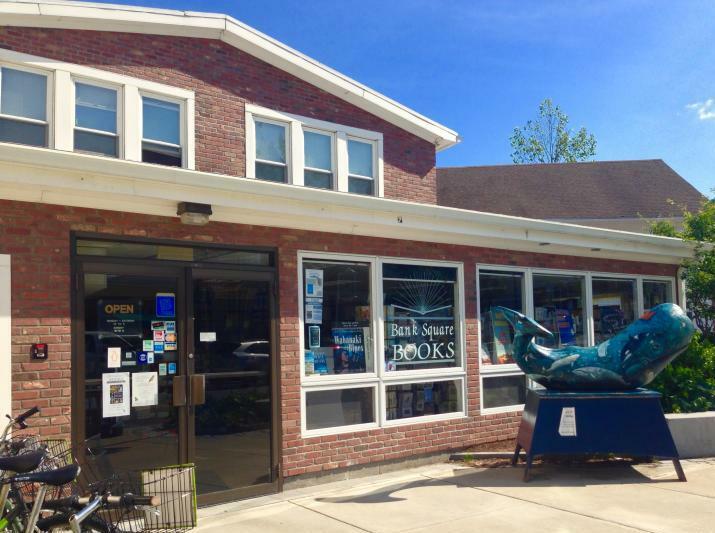 Bank Square Books, which opened more than 25 years ago, has a fairly typical lease that costs around 8%-9% of the store's gross sales. 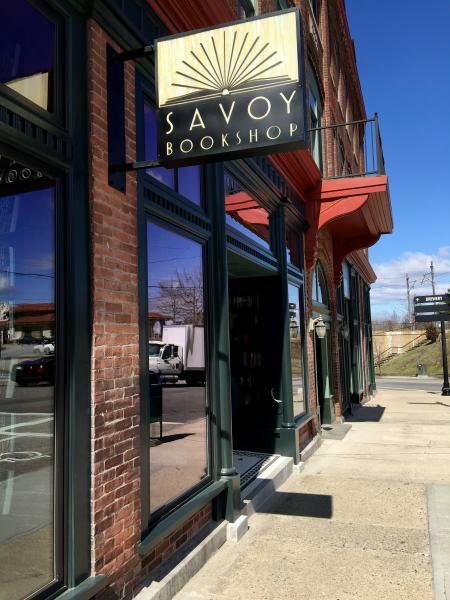 With Savoy Bookshop, however, Philbrick pays a very small percentage of the previous month's sales as rent. "What they've done for us in Westerly is really make an investment in the community," said Philbrick, who opened that store in 2016 in partnership with her two landlords. They are both local, community-focused developers who had been looking to bring a new bookstore to Westerly after the town lost its only indie in 2014. "[For them] it's not about renting the building to make money." Philbrick recalled that going into negotiations with those landlords, she brought ABACUS data and results from a survey showing that occupancy costs for successful independent bookstores are typically in the 7%-10% range. Her Westerly landlords decided to cut that in half. "They want us to succeed," explained Philbrick. "They don't want rent to be a burden and they're in a position to do that." In Mystic, meanwhile, Philbrick's landlords have owned the building for decades. In recent years, she's brought up the possibility of switching to a fixed-percentage model similar to what she has in Westerly, but her landlords have not been amenable. "I get it," she said. "They've had it a long time, and it's a different business model." She added that she doesn't think what she pays in Mystic is exorbitant or "out of line"--she simply prefers the other model. She also noted that she has negotiated successfully with her Mystic landlords in the past. In 2013, Bank Square Books expanded into an adjacent storefront owned by the same landlord. The space had been empty for some time, and after Hurricane Sandy in October 2012, her landlord was keen finally to have the storefront filled by a tenant with a long-term lease. Her landlord initially asked for a rent that was higher than she could pay, but after the storefront stayed empty for another nine months or so, the landlord returned and asked her what she would need in order to move in. To test the waters, she signed an 18-month lease at a reduced rent and later signed on long term. When asked about the retail landscape in Mystic, Philbrick reported that rents are expensive, and there have been long stretches where storefronts have remained empty because of landlords being unwilling to budge on high rents. If her landlord ever sold her building to a landlord or developer who wanted to raise her rent "because it's Mystic," she said, "I'm not sure I could stay there." On the subject of negotiating with landlords, Philbrick advised trying to "be creative" about finding ways to make things more affordable. That could include asking not to pay rent during a build-out, asking landlords to redo the floor or put in new fixtures, or having the electric company reassess your lighting. Booksellers "should not be afraid to have that conversation" about various concessions and should always try to educate landlords about the financial realities of bookstores. At the same time, they can talk about how "indie bookstores are part of a community and enhance a community." She acknowledged that "you might find somebody who just isn't going to work with you," and in that case, you should move on. She said: "If you find a landlord or a space that isn't quite right, look down the street for another space." As for getting a rental agreement like the one she has in Westerly, Philbrick said that, unfortunately, "you have to get a little bit lucky." Lessees aren't necessarily "in the driver's seat" when it comes to negotiations, but sometimes they can find landlords who are invested in the community, want to see main street thrive and are in the position to charge substantially below market rent. Judith Rich Harris, "whose theories about child development gained wide attention, even though most academics rejected her view that parents have less impact than they think they do," died December 29, the New York Times reported. She was 80. Harris, who was writing college textbooks on child development "when she realized she didn't believe what she was telling readers about why children turn out the way they do," had her own theory "that children are influenced more by their genes and peers than by their parents." An article she wrote for an academic journal won a prestigious prize from the American Psychological Association and was subsequently turned into the book The Nurture Assumption: Why Children Turn Out the Way They Do (1998). It became a bestseller and caused a sensation in the news media. She updated her theory in No Two Alike: Human Nature and Human Individuality (2006). Noting that "she was so damn smart," Harvard psychologist and author Steven Pinker said, "Her gift was she could understand the technical aspects of behavioral genetics and at the same time was a psychologist and a very sharp observer of human behavior." Harris's theories "ran smack into the academic establishment, which at first ignored and then criticized her work and bemoaned her lack of credentials," the Times wrote, adding: "She was that unusual student who had been kicked out of Harvard while working on her doctorate. The letter dismissing her in 1960 [was] signed by George A. Miller, the acting chairman of Harvard's psychology department.... In an irony that even Dr. Miller would come to appreciate, the prestigious award that Ms. Harris received in 1998 from the American Psychological Association was named for Dr. Miller." 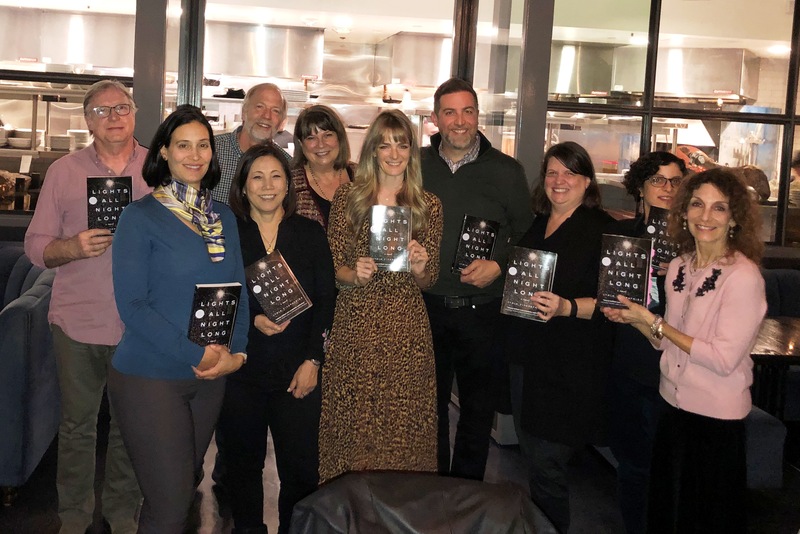 Booksellers from San Diego-area stores the Book Catapult, Mysterious Galaxy and Warwick's enjoyed dinner with author Lydia Fitzpatrick, in anticipation of her debut novel, Lights All Night Long (Penguin Press), which will be published in April. The event was hosted by Penguin Random House sales reps Tom Benton and Amy Comito. Last week, the Portland Press Herald/Maine Sunday Telegram announced it would stop publishing freelance reviews of books about Maine or written by Maine authors. 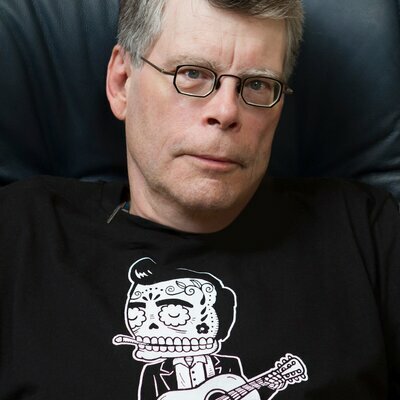 The decision prompted a Bangor resident with five million Twitter followers, author Stephen King, into action Friday with this tweet: "The Portland Press Herald/Maine Sunday Telegram will no longer publish local, freelance-written reviews of books about Maine, set in Maine, or written by Maine authors. Retweet this if you're from Maine (or even if you're not). Tell the paper DON'T DO THIS." The Press Herald then replied: "These are challenging times for newspapers. But here's an offer: If you can get 100 of your followers to buy digital subscriptions to the @PressHerald, we will reinstate the local book reviews immediately. Use the promo code KING. Deal?" On Saturday, King announced that the newspaper "has agreed to reinstate local book reviews if 100 people subscribe. Sales pitch? Blackmail? Either way, 71 people have subscribed so far. Are there 29 more Twitterheads out there who want to ante up? Just asking." Enlisting a Sam Elliott tip-of-the-hat gif, the Press Herald later tweeted: "You all are the best readers anywhere. Sincerely. We're at our goal. Book reviews will return. We love you Maine. We love you journalists. We love you newspapers." Spanish writer, academic and literary critic Jorge Carrión, for whom a bookshop is "the perfect place to understand the world," picked "five bookshops that globetrotting bibliophiles should put on their bucket list" for ABC Arts' The Bookshelf. "When you enter a bookshop you discover a kind of country--a little world--and you can find different aspects of the history of the world, and also of the present time," said Carrión, author of Bookshops: A Reader's History. "I know the library is more democratic than the bookshop, but the bookshop is part of the city. It is a private space with a public service dimension to the community that is very important." 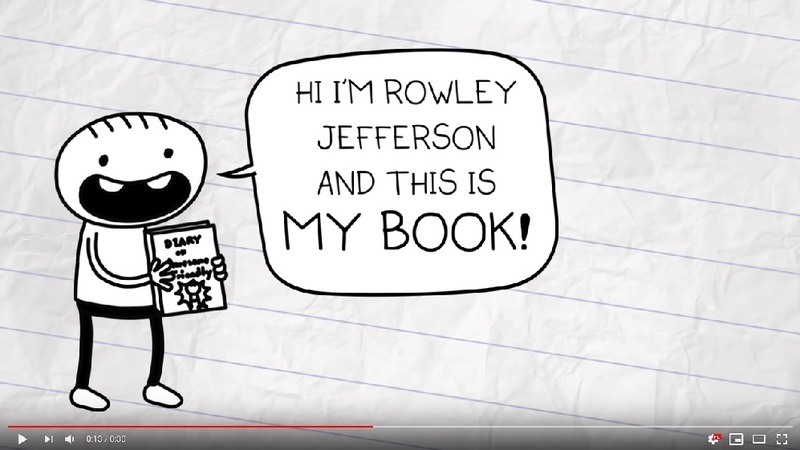 Diary of an Awesome Friendly Kid by Jeff Kinney (Abrams). Fresh Air: Joshua D. Mezrich, M.D., author of When Death Becomes Life: Notes from a Transplant Surgeon (Harper, $27.99, 9780062656209). Daily Show: Tressie McMillan Cottom, author of Thick: And Other Essays (The New Press, $24.99, 9781620974360). Tonight Show: Lin-Manuel Miranda, author of Gmorning, Gnight! : Little Pep Talks for Me & You (Random House, $22, 9781984854278). Hannah Marks, "who is perhaps best known for her role on the a BBC America series, Dirk Gently's Holistic Detective Agency," will direct the film adaptation to John Green's YA novel Turtles All the Way Down, which Fox 2000 optioned in 2017, Deadline reported. Elizabeth Berger and Isaac Aptaker wrote the screenplay. Temple Hill's Isaac Klausner and Marty Bowen are producing, while Green and Rosianna Halse Rojas are executive producers on the project. Turtles All the Way Down will be the studio directorial debut for Marks "who, at age 25, is among youngest female studio directors in history," Deadline wrote. Her first project as a director was After Everything, an indie film she co-wrote that premiered at the 2018 SXSW Film Festival. 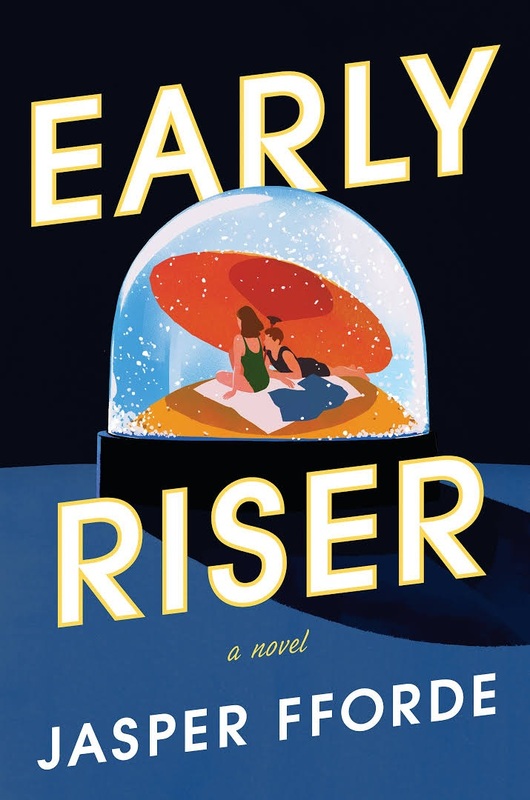 Jasper Fforde (The Eyre Affair, The Woman Who Died a Lot) returns from his "creative hiatus of 2014-2016" with a wonderfully weird dystopian thriller set in a deep, dangerous winter. Every winter, the human population spends four months hibernating. Citizens take care to pack on enough pounds to survive the weeks of not eating, a process known as the Hib. Still, the deadly cold of winter exacts a toll of lives. To offset population losses, citizens must engage in mandatory childbearing. Class differences affect chances of surviving the Hib. The rich can afford Morphenox, a drug that saves energy by suppressing dreams and increases their survival rate, while the poor die in greater numbers. However, Morphenox users can suffer a neural collapse and awaken as a zombie-like nightwalker. Some nightwalkers retain just enough awareness to do menial labor, but most are "parted out" as organ and limb transplant sources. In this bleak world, young Welshman Charlie Worthing has just embarked on an unusual career with the Winter Consulate, the determined and possibly insane few who stay awake to keep the sleepers safe. Despite its high mortality rate, the post comes with guaranteed Morphenox and gets him out of his dead-end job. After a nightwalker retrieval gone awry leaves his mentor dead, Charlie must guard himself against posh but homicidal Villains, the probably-but-maybe-not-mythical creatures known as Wintervolk, and his supposed allies. When he stumbles into a conspiracy centered on a viral dream that drives people to insanity and murder, Charlie isn't sure who to trust. He's started having the viral dream, too, and if he can't unlock its secrets quickly, this winter will be his last. Shelf Talker: Fforde's first novel since 2014 is set in a dystopian Wales, in a time when humanity hibernates through brutal winters, guarded by the brave and bizarre Winter Consuls.